This isn’t you average fundraiser! 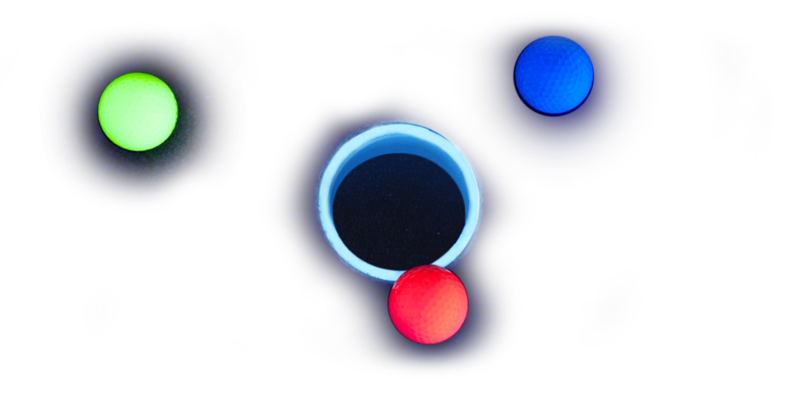 Glowgolf Fundraising Tournaments offer an entertainingly different and profitable way to raise money for your charity. Tournaments held at our facility have many of the same money-making opportunities as traditional outdoor golf tournaments, but also have the advantage of being indoors, out of the weather, and in an environment that is fun for all ages and skill levels. Ticket sales aren’t the only way to raise money at your tournament. We suggest you also consider having raffles, silent auctions, hole sponsors, food and beverage sales, etc. The possibilities are only limited by your imagination.